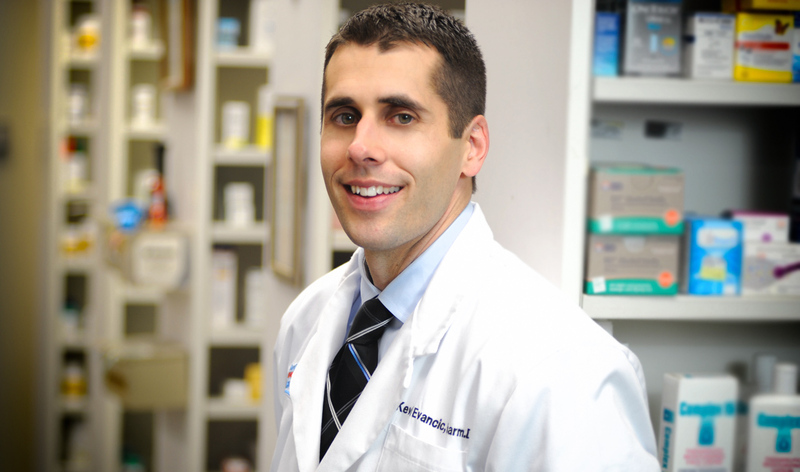 Kevin is a graduate of Duquesne University’s Mylan School of Pharmacy, and he has been a practicing Doctor of Pharmacy for years. He also attained a certificate in customized Pain Management Therapy from the Professional Compounding Centers of America. What’s more, Kevin is a second-generation pharmacist who draws on many years of training and experience. He understands the critical issues that are important to patients, and he will work closely with you and your doctor to ensure that you receive first-class prescription care and service. Kevin was born and raised right here in Pittsburgh, and he has gone on to become a second-generation pharmacist in the South Hills area of our city. As a child, Kevin watched his dad own and operate the Pleasant Hills Apothecary (which is still going strong today). From there, Kevin grew more and more interested in helping people through medicine and went on to earn the highest level of education to do so. After years of study and experience supporting his dad and other top pharmacists, Kevin opened his own pharmacy where he grew up. He is always looking for new ways to participate in and serve the communities in which he was raised. Giving back to Pittsburgh and the good people here is a tenet of Kevin’s Pharmacy. When you’re sick, you trust your doctor to provide you the insight and care to take care of you. So when it comes to your pharmacists, shouldn’t you choose a doctor, too? While your medical doctor will diagnose and recommend treatment for many conditions, the second phase of your care falls under the pharmacist–something very important to consider when choosing the best level of care for you and your family. Doctors of Pharmacy have a more complete education and even go on rounds with medical doctors in the hospital as part of their education. They see your care from a more complete perspective and have more knowledge to draw upon. The trifecta of patient care is your doctor, you, and your pharmacist. By choosing a doctor of pharmacy, you set yourself up for the best possible team to make the right decisions for your health–something you won’t find picking up a prescription at a big box pharmacy.